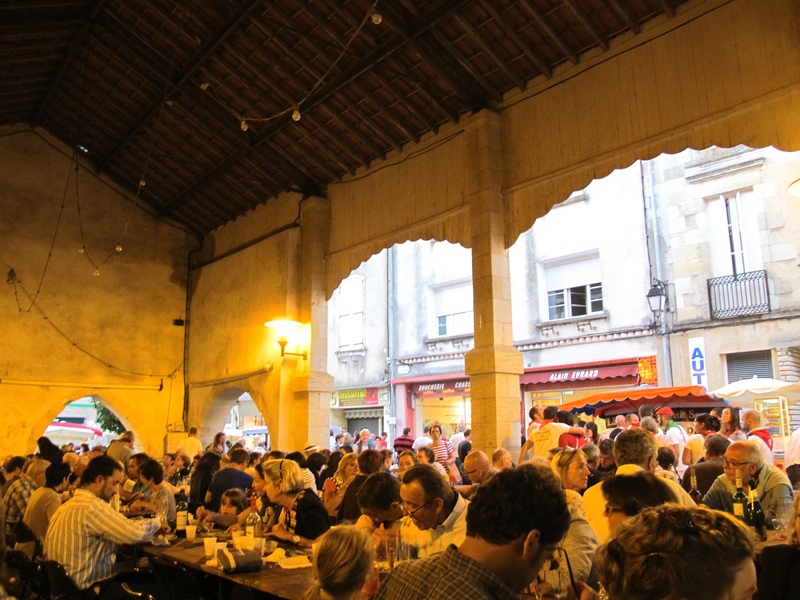 Of the many pleasures to be found in Duras are the marche du nocturnes, or night markets. 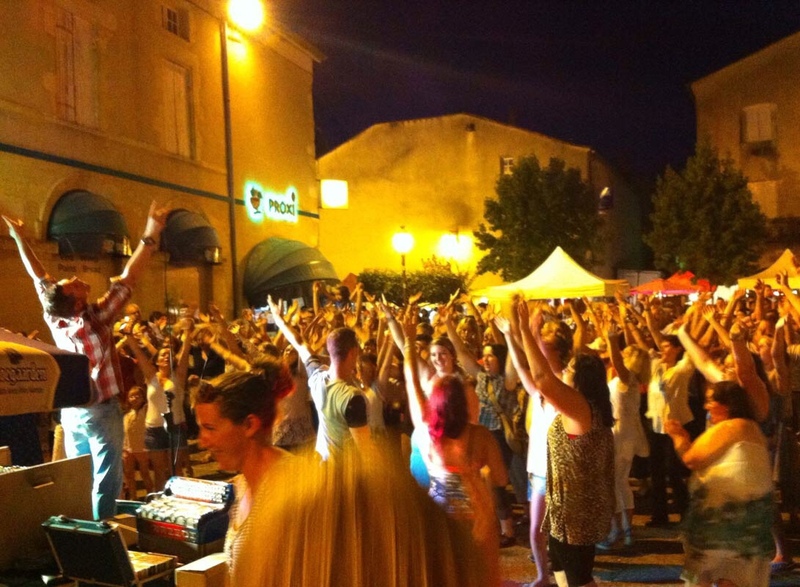 Each summer Thursday the village sets up for a night of eating good food, drinking good wine, and dancing to the band set up in the market square. Food trucks and booths include regional specialties like duck confit, moules frites, paella and many other palate pleasers. Local wineries set up booths for sampling and you can buy a glass or bottle to accompany your dinner selection. Take your plate and sit down at the long tables where you’ll enjoy the band under the stars amidst the good company of locals, expats and a few tourists. Be brave–get up and dance when your dinner is done. In the wee hours, stroll the village lanes back to the Clocktower Cottage. Sit on the balcony and listen to the band’s final set then drift off to sleep dreaming of French village life. Wait! It’s not a dream. You are really there. Get in touch to ask about available summer weeks in Duras.